The Orthodox Christian Church: The Best Kept Secret in America? I remember fondly a dear elderly man in my congregation growing up who often lamented the fact that the Orthodox Christian Church is, in his words, “The best kept secret in America.” Although the 1995 Encyclopedia Britannica listed the Orthodox Church as “the fastest growing Christian church in America” – it remains a mystery (if not a secret) to many. And mystery can lead to misunderstanding. 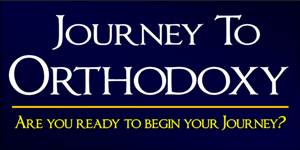 Here are some of the most common questions asked about the Orthodox Church. How did the Orthodox Church begin? Is it a denomination? The Orthodox Church constitutes the second largest body of Christians in the world. It is not a denomination; it pre-dates the existence of denominations by at least 1,500 years. The Orthodox Church has an organic and continuous 2, 000 year history spanning from the time of Jesus’ apostles to the present – a verifiable fact affirmed by historians. What we now call the Orthodox Church was simply the Christian churches of the eastern Roman Empire where the Christian faith originated – Jerusalem, Antioch, Ephesus, Thessalonica, etc. Today it has a presence all over the world, including England and Western Europe, South America, Mexico, Guatamala, Indonesia, Japan, China, Kenya, Uganda, Tanzania. What are the origins of various denominations? In the year 1054 a fissure occurred between the churches of the western Roman Empire under the jurisdiction of the bishop (“Pope”) of Rome and the Eastern churches represented by the bishops of Constantinople, Alexandria, Antioch, and Jerusalem. The Eastern churches rejected the claim of the Pope to a universal authority over the whole Church. This break, called the “Great Schism,” eventually led to two distinct bodies. Some 500 years later certain Roman Catholics broke from communion with Rome in hopes of returning to a more pristine Christian faith. This is known as the Protestant Reformation. The reformers hoped to find agreement by using the Bible alone. Even in this first generation, however, they could not reach agreement, leading to several divergent branches of Protestantism. The splintering continued rapidly, multiplying the number of differing Christian bodies. Today an estimated 30,000 denominations exist, each claiming authority in the Bible. The Orthodox Church never experienced a reformation and continues in the beliefs and practices of the first 1,000 years of Christian history. It is unified worldwide in doctrine, worship, and spirituality. Who is the head of the Orthodox Church? Who makes the decisions? The Orthodox insist that Jesus Christ is the only Head of the Church. There is no singular or unilateral authority in Orthodoxy like a Pope. All bishops are equal and equally responsible for guarding the faith. They are accountable to one another and to all Orthodox believers. No one is considered infallible. The Church is unified by a common faith, not by a central authority. The Orthodox believe the Holy Spirit is the authority that guides the Church. In times of crisis or new circumstances the local bishops gather to articulate what the Church has always believed (see Acts 15). But aren’t the Greek and Russian Orthodox Churches two different things? No! They are simply the Orthodox Church from different countries of origin. The faith is identical. Just as in New Testament times, the churches of Ephesus and Thessalonica and Philippi were all one, the Orthodox Church is a communion of regional churches united in one belief and practice. Unfortunately Orthodox Christians in America have often retained the name of their country of origin, giving the impression they are distinct from other Orthodox churches. They have sometimes been slow to let go of the language of origin as well (Three Hierarchs uses English exclusively). However all Orthodox churches share the same creed, sacraments, and liturgical services and form one Church in America and abroad. What does “orthodox” mean? Are you Jewish? Not unless Jews worship Jesus as the Messiah! Orthodox Christians confess and worship Jesus Christ as Lord, God, and Savior, the incarnate Son and Word of God. Also the Christian doctrine of the Trinity was espoused and defended by the Orthodox from earliest times. The word “orthodox” is an adjective meaning “proper belief or worship” and was used from the 2nd century onward to designate Christians who maintained the teachings as transmitted by the apostles. But the Orthodox Church is Eastern, not Western, right? Yes, No, and Maybe! It depends on our perspective and what one means by “Eastern.” Ready for a shock? : Christianity is an “Eastern Religion”! It began in the Middle East by eastern, Semitic peoples. Out of 44 local churches personally founded by the apostles of Jesus, only 2 were established in Western Europe. The west was not the center of the Christian Church but the mission field. What would we see if we walked into a church in Ravenna, Italy in the 6th century? We know because they still exist. We see “Byzantine” architecture and “Byzantine” mosaic iconography everywhere. We would have heard “Byzantine” chant, adapted later by Pope Gregory in the 7th c., i.e. “Gregorian” chant. Monasticism too was imported from Egypt and Palestine to the west by John Cassian (“the Roman”) and others. What we now understand to be “western” is the result of the “Renaissance” which was based on a fascination for…Greek philosophy, particularly Aristotle. With the Renaissance came a transformation of the western Church: new ways of thinking and theologizing, new music, new art. All of these were departures from early Christianity. While some describe Orthodox Christian worship as “different” or “foreign,” what they are actually experiencing is something more ancient and otherworldly. Early Christian worship was patterned on heavenly worship, such as that seen in Isaiah 6 and Revelations 4 and 5. It is meant to be otherworldly. It is meant to be “foreign” to the fallen man and appeal to something greater. So the Orthodox Church is old. Doesn’t that mean boring or out-of-date? Why doesn’t the Church change with the times? Orthodox Christian worship is anything but boring. It is profound and rich. It is challenging and engaging, grace-filled and majestic, overflowing with scriptural reading and imagery. The testimony of the early Church Fathers confirms that this worship has been largely unchanged. But it’s not “entertainment”! It’s not meant to be an experience of this world, but of the world to come. It is an encounter with the living God. There’s nothing in Scripture that suggests we should “modernize” the worship of God. Instead it tells us “Jesus Christ is the same yesterday, today, and forever (Heb. 13:8). This is not to say the Orthodox Church does not adapt to what is good in every culture. It has done so in taking the gospel to Slavic peoples, to native Alaskans, to Japanese, Africans, and others. But it does so with discernment and prayer. What is the mission of the Orthodox Church? There is only one mission: To bring human beings into a personal union with God, now while yet in this life, through Jesus Christ by the power of the Holy Spirit. This is salvation. Salvation is not merely “going to heaven” when you die. It is not a legal arrangement brokered by God. It is a real transformation of the heart by the grace of God through repentance, which can heal the human person and bring them into communion with God. No. We’re most definitely Christians! Oh, then, you’re Orthodox Presbyterians? No. We’re neither Protestant nor Roman Catholic. Yes, except that we as Americans are very much in and of “the West.” Ironically it is from the West that “the Eastern Orthodox Church” came to these shores some two hundred years ago through Alaska and California. Since that time Orthodox Christianity has been flourishing in the U.S. Yes, but… the Orthodox Church is one Church. To be Greek Orthodox, Russian Orthodox, Romanian Orthodox or Serbian Orthodox is like being Irish Catholic, Italian Catholic, or Polish Catholic – it’s the same Church, the same faith, but rooted in a different country and culture. Currently, however, Church organization in North America is divided among several different “jurisdictions,” or governing bodies of varying national origin within the one Church. The doctrine and worship of each jurisdiction and parish is the same, though in some, languages other than English continue to be used in the services. I thought there are just two kinds of Christians, Protestant and Catholic. How can you claim you are neither? From the Orthodox point of view, Roman Catholicism is a medieval modification of the original Orthodox faith of the Church in Western Europe, and Protestantism is a later attempt to return to the original Faith. There is a certain sense in which, to our way of thinking, the Reformation did not go far enough. Many of the polarities that exist between Protestants and Roman Catholics (i.e., “Word versus Sacrament” or “Bible versus Tradition” or “Faith versus Works”) have never arisen in the Orthodox Church. We believe that Orthodox theology offers Roman Catholics and Protestants a way in which apparently opposite differences can be reconciled. The Orthodox Church today is identical to the undivided Church of ancient times. It is the Church found on the pages of the New Testament. The 16th century Protestant Reformer Martin Luther once remarked that he believed the pure Faith of primitive Christianity is to be found in the Orthodox Church. Then you must be a very conservative Church. In current American usage, the words “conservative” and “liberal” are highly politicized categories and indicate a variety of often-conflicting viewpoints. Usually we don’t really fit either category very well. For example, on seven major occasions during the first millennium of Christianity the leaders of the worldwide Church, from Britain to Ethiopia, from Spain and Italy to Turkey and Arabia, met to settle crucial issues of Faith in confronting false doctrines about our Lord Jesus Christ and the Holy Spirit. The Orthodox Church is highly “conservative” in the sense that we adhere to the teachings of those seven Ecumenical Councils to this day. But that very “conservatism” in Christology and Trinitarian theology often makes us “liberal” in certain questions of civil liberties, social justice and peace. We are also very conservative, or rather traditional, in the structures of our liturgical worship. Which do you believe in: the Bible or Tradition? Tradition means “that which is handed over.” The New Testament carefully distinguishes between “traditions of men” and the Tradition, which is the Faith handed over to us by Christ in the Holy Spirit. That same Faith was believed and practiced several decades before the New Testament Scriptures were set down in writing and given canonical (i.e., official) status by the Church. We experience the Tradition as, to use the phrase of one contemporary Orthodox theologian, “the life of the Holy Spirit within the Church” and therefore timeless and ever timely, ancient and ever new. We distinguish between the Tradition (with a capital “T”) which is the Faith/Practice of the Undivided Church, and traditions (with a little “t”) which are local or national customs that may vary from country to country. Due to changing circumstances, sometimes cherished local customs must be altered or respectfully laid aside for the sake of the Tradition. The Scriptures are the primary written witness to the Tradition of the Church. Orthodox Christians therefore believe the Bible, as the inspired written Word of God, is the heart of the Tradition. In the Scriptures all basic Orthodox doctrine and sacramental practice is either specifically set forth, or alluded to as already a practice of the Church in the first century A.D. The Tradition is also witnessed to by the decisions of the Seven Ecumenical Councils, the Nicene Creed, the writings of the Fathers and Mothers of the Church, the liturgical worship and iconography of the Church, and in the lives and witness of the saints and martyrs. Do you mean you that you Orthodox actually believe your elaborate worship is based on the Bible? I’d like to know where. The Christian Church learned to worship in the Jewish Temple and in the Synagogues. Again and again the New Testament tells us that the Lord Jesus, the apostles Peter, Paul and others worshipped regularly in Jewish houses of worship. (See for instance Luke 4:16; Acts 3:1; Acts 17:1-2.) We know from archaeology, and from modern Jewish practice, that Synagogue worship was and is highly liturgical, i.e., communal, organized, ceremonial, and done decently and in good order (I Corinthians 14:40). It sounds as if you are rigidly bound by your Tradition. Does this mean it can’t change? The Tradition of the Church, as a set of basic principles outlining our worldview, is a constant. Its very constancy, however, sometimes will even demand change. As an example of this, by Tradition our worship is to be celebrated in a language understood by the local worshipping congregation. This means the Tradition not infrequently requires a change in liturgical language. As another instance, the Tradition also requires repentance: constant change in ourselves as, through the guidance of the Holy Spirit, we grow spiritually and respond ever more fully to the call of God in Jesus Christ. Do you have the Virgin Mary, Saints and confession “like the Catholics?” Do you pray for the dead? There are some important points of contact between Orthodox and Roman Catholic belief and practice on these issues. There are also significant differences. To discuss them in depth is beyond the scope of this short summary. What follows is a brief statement of the Orthodox point of view on these questions. We likewise honor the other great men and women in the life and history of the Church – patriarchs, prophets, apostles, preachers, teachers, evangelists, martyrs, confessors and ascetics – who committed their lives so completely to the Lord, as models of what it means to be fully and deeply Christian. These men and women are called “saints”, a word deriving from the ancient Latin word meaning “holy.” For example, we believe that men like the apostle Paul – in their devotion to Christ – led holy lives and that we are indeed to be imitators of him, as he was of Christ (1 Corinthians 4:16). As indicated in John 20:21-23, and James 5:14-16, we practice sacramental confession and forgiveness of sins. The presbyter (priest) conveys the sacramental presence of Christ. In the context of the celebration of confession the priest conveys Christ’s forgiveness, not his own. In the strictest sense the Communion of the Orthodox Church is open to all repentant believers. That means we are glad to receive new members in the Orthodox Church. The Orthodox concept of “Communion” is totally holistic, and radically different from that of most other Christian groups. We do not separate the idea of “Holy Communion” from “Being in Communion,” “Full Communion,” “Inter-Communion” and complete “Communion in the Faith.” In the Orthodox Church therefore, to receive Holy Communion, or any other Sacrament (Mystery), is taken to be a declaration of total commitment to the Orthodox Faith. While we warmly welcome visitors to our services, it is understood that only those communicant members of the Orthodox Church who are prepared by prayer, almsgiving, fasting and confession will approach the Holy Mysteries. Icons are not pictures in the sense of naturalistic representations. They are rather stylized and symbolic expressions of divinized humanity. (See 2 Peter 1:4; 1 John 3:2.) Icons for the Orthodox are sacramental signs of God’s great Cloud of Witnesses (Hebrews 12:1). We do not worship icons. Rather, we experience icons as windows into Heaven. Like the Bible, icons are earthly points of contact with transcendent Reality. In the original Greek of the New Testament Christ is called – several times – the icon (image) of God the Father. (See 2 Corinthians 4:4; Colossians 1:15; Hebrews 1:3.) We human beings were originally created to be icons of God (Genesis 1:27). Isn’t all your old-fashioned doctrine and worship irrelevant to modern American life? We believe that God really does exist. He is not the figment of pious imagination, a devout fiction or wishful thinking. God and His will is our “top priority” in life! We believe that the Word of God quite literally became Incarnate in Jesus of Nazareth. We believe the Lord Jesus literally rose from the dead in a real though transfigured and glorified physical body. We believe that life apart from God is hollow and meaningless. We notice that people today talk often of “the meaning of life,” “having meaningful relationships,” “the common good,” “the good of humanity,” “hope for the future of mankind” and so on. Also, various cults continue to attract many followers in all parts of our country. This indicates to us that people today are hungry for the answers we believe God has revealed through His Word, Who is Jesus Christ. We believe ultimate human values are revealed to us by God, and serve as constant guides in the use of our steadily expanding scientific knowledge. We seek to evaluate technological advances in the light of those basic values. It is our experience that our venerable Liturgy and the ancient Christian doctrines about God and the meaning of human life are just as relevant today as yesterday. These define our basic values. We know the whole ancient Christian Faith as that which makes more sense than anything else in this world of constant change, confusion and conflict. God is the Source of all Meaning; we believe that “mankind’s noblest ideals” such as truth, beauty, freedom and love, are not “merely ideals,” but real characteristics of a real Lord. In and through Christ Jesus, God reveals Himself in human terms and in human terminology as One who is at the same time a Trinity of Persons. The word “person” as used in classical Christian theology is not the singular form of “people”; God is not “Three people.” Person here means something similar to “I,” or “Subject,” as in the subject of a sentence. The One God is revealed as having three personal “Centers of Being.” God is therefore neither alone nor lonely, for the One Lord is also perfect Communion of Persons. God as Trinity is the model and source of human inter-personal communion and fellowship. We were created to be capable of communion (mystical union) with God. Human matrimony is a favorite biblical image for this communion-relationship. Our capacity for divine communion was soon damaged by human error, stubbornness, and evil (i.e., sin). Because of God’s infinite love, our potential for communion with God has been restored, renewed, and transfigured by Christ Jesus in the Holy Spirit. Christ communicates His very life to us through His Scriptures and Sacraments. In Christ and the Holy Spirit we can and do experience varying degrees of a mystical union with God now in this life, and on a regular basis. We believe that the purpose of human life is for us to become partakers of the divine nature (2 Peter 1:4) through the grace of the Holy Spirit, in prayer, the sacraments, in study of the Scriptures, fasting, self-discipline, and active love for others. All other human projects and purposes, however noble and important, remain secondary to that, which gives ultimate meaning to human existence. This brief outline of the Orthodox Faith necessarily only touches upon a number of more involved issues. If you would like to find out more, we welcome your inquiries. There are some 250 million Orthodox Christians in the world. Most Christians in Greece, Romania, Bulgaria and Serbia, Russia and the Ukraine are Orthodox. Three million Americans are Orthodox Christians. The heaviest concentrations of Orthodox in America are in Alaska, Pennsylvania, New Jersey, New York, and Ohio. Organized Orthodox Church life first came to America in 1794 with missionaries from old Russia who came to Alaska. Centuries of vigorous Orthodox missionary activity across 12 times zones in northern Europe and Asia was halted by the Communists after the Soviet Revolution in 1917. Today Orthodox missions are active in Central and East Africa, Japan, Korea and many other parts of the world. And in one Lord Jesus Christ, the only-begotten Son of God, begotten of the Father before all ages. Light of Light, true God of true God, begotten, not created, of one essence with the Father through whom all things were made. For us and for our salvation, He came down from heaven and was incarnate of the Holy Spirit and the Virgin Mary and became man. He was crucified for us under Pontius Pilate and He suffered and was buried. On the third day He rose according to the Scriptures. He ascended into heaven and is seated at the right hand of the Father. He will come again in glory to judge the living and the dead. His Kingdom will have no end. And In the Holy Sprit, the Lord, the Giver of Life, who proceeds from the Father, who together with the Father and Son is worshipped and glorified, who spoke through the prophets. I expect the resurrection of the dead and the life of the age to come.